Steffan H. Abel D.C. M.Sc. graduated in 1990 from Chiropractic College and since that time has had his own successful practice. As well as studying various Chiropractic-based treatments (gaining an M.Sc. in post graduate Clinical Chiropractic in 2003), he has trained in Hypnotherapy, N.L.P., qualified as a Life Coach as well as energy therapies such as Seichem and Reiki. 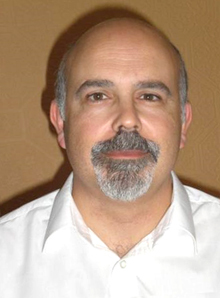 In 2001 he became a Fellow of the College of Chiropractors and a Fellow of the Association of Osteomyology and in 2007 became a Fellow of the European Academy of Chiropractic. In his spare time he spends between 15 and 25 hours per week researching all areas of “alternative” and allopathic healthcare in order to bring the best advice to his patients through his practice and writing. “I have spent many years looking at the various treatments and supplements that are available for the treatment of heart disease in all its various forms – and this is a distillation of the material that I have uncovered. These are the techniques that I have found to be most beneficial and are those that have helped my patients the most with their own problems. This research is constantly ongoing and evolving and new ideas, treatments and theories are coming to the attention of doctors and therapists all the time so this book will constantly grow. All the latest advances will be collected and reviewed and if they are deemed to be of merit they will be forwarded to you by email or added to the newsletter and will also be added to further published and downloadable versions with each new printing.